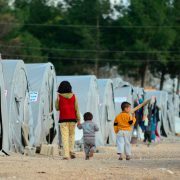 Hamburg, 16 December 2016 – Women and girls fleeing from war, persecution and violence in their home countries are particularly at risk of sexual and gender-based violence during their journey to safety and when they arrive in the European Union. 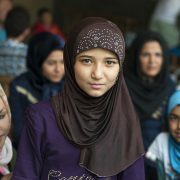 In advance of International Migrants Day on 18 December, the World Future Council, filia.die frauenstiftung and UN Women National Committee Germany launch a report on good practices to better protect refugee women and girls in the EU. The Council of Europe Istanbul Convention is the most comprehensive international human rights treaty on violence against women and domestic violence. This legally binding instrument explicitly defines violence against women as a human rights violation and a form of gender-based discrimination and includes a strong emphasis on prevention and survivors’ rights. In addition to Council of Europe Member States, it can be ratified by the European Union and is open for accession by any State in the world. The Istanbul Convention reflects a comprehensive approach covering the areas of prevention, protection (including provision of support services for survivors), prosecution, and coordinated policies. 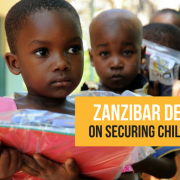 In addition to its focus on survivors’ rights and protection, it also encourages action over the longer term through prevention measures, and requires the establishment of specialised institutions, partnerships, substantial budget allocations and data collection to ensure effective implementation. As of May 2016, more than three-quarters (42 of 47) of the countries that are Council of Europe members have signed the Convention and 22 of them have also ratified it: Albania, Andorra, Austria, Belgium, Bosnia and Herzegovina, Denmark, Finland, France, Italy, Malta, Monaco, Montenegro, Netherlands, Poland, Portugal, Romania, San Marino, Serbia, Slovenia, Spain, Sweden and Turkey. The European Commission proposed on 4 March 2016 the European Union’s accession to the Convention. The Istanbul Convention would become the second human rights treaty binding the EU, after the UN Convention on the Rights of Persons with Disabilities. The EU would accede to the Convention alongside EU Member States. As of May 2016, 14 Member States (Austria, Belgium, Denmark, Finland, France, Italy, Malta, Netherlands, Poland, Portugal, Romania, Slovenia, Spain and Sweden) have already ratified the Convention. A further 14 Member States have signed it but not yet ratified. Learn more about the Istanbul Convention in our booklet “Ending Violence against Women and Girls” and in our online database of sustainable policy solutions, FuturePolicy.org. Violence against women and girls is a global challenge that requires effective, comprehensive and immediate policy solutions. Recent data shows that at least 30% of women worldwide have suffered physical and/or sexual intimate partner violence, confirming the urgency of the matter on a global scale. Fortunately, in some parts of the world, local initiatives and frameworks have already proven highly successful in tackling gender-based and domestic violence, which can serve as examples to the global community. 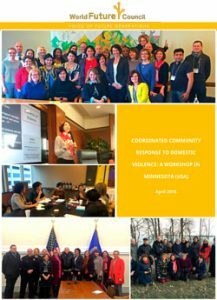 The “Coordinated Community Response (CCR) to Domestic Violence” implemented in Minnesota (USA) is one of those initiatives. Also known as the “Duluth Model”, the method has been successfully protecting women from domestic violence for more than 30 years. For this, it was awarded the 2014 Future Policy Award as the world’s best policy addressing domestic violence. In April 2016, our team travelled to Minnesota, US, to facilitate a workshop that aimed to spread this comprehensive policy to other communities. The “Coordinated Community Response (CCR) to Domestic Violence” workshop brought together advocates, law enforcement officers, legal professionals and policy-makers from six different countries (Kazakhstan, Latvia, Lithuania, Pakistan, Tajikistan, and Trinidad & Tobago) to explore and witness first-hand the key principles of CCR as it is being implemented in Duluth (Minnesota, USA). This method, also referred to as the “Duluth Model”, promotes cooperation of all relevant actors, such as police and probation officers, prosecutors, and NGO advocates, working to prevent and combat domestic violence. This coordination effort proves as a highly effective approach for the implementation of domestic violence laws and focuses on victims’ safety and offender accountability. The workshop provided an extraordinary opportunity for participants to learn the techniques of CCR from its designers/founders/initiators – and in the community that has most successfully implemented it – and develop an understanding and framework from which to respond to domestic violence in their own communities. The World Future Council (WFC) was a funding partner of this nine-day workshop, planned and hosted by Global Rights for Women (GRW), a Twin Cities based non-profit, and presented in partnership with Domestic Abuse Intervention Programs (DAIP) out of Duluth, Minnesota. The workshop took place from 28 March to 5 April 2016. Three days of intensive training by the staff at the Duluth Domestic Abuse Intervention Programs (DAIP) in Duluth (Minnesota) and four days of training by Global Rights for Women’s legal experts in Minneapolis (Minnesota). Observation opportunities: participants visited a 911 emergency communications centre, shadowed police officers responding to calls, attended domestic violence court hearings, met with prosecutors and probation officers, and observed men’s nonviolence group meetings. The study tour also included meetings with parliamentarians, representatives from local authorities, law enforcement entities, judges and prosecutors, service providers and civil society organizations. In 2014, the Duluth model was named the world’s best policy to address violence against women and girls by the World Future Council (WFC), UN Women, and the Inter-Parliamentary Union (IPU). Our Future Policy Award highlights the world’s best policy approaches to the most pressing political challenges that the global community is facing today. In 2014, the award was dedicated to celebrate the best laws and policies that contribute to ending one of the most pervasive human rights violations of our time: violence against women and girls. The World Future Council will continue to work with our partners to facilitate the transfer of knowledge between policymakers and their NGO counterparts and to support them in introducing the model in their communities. GRW is a non-governmental organization that envisions a world where women’s human rights to equality and freedom from violence are fully realized. The DAIP strives to end violence against women and promote victim safety through innovative training and institutional changes. 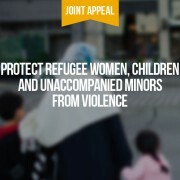 Hamburg, March 7, 2016: In a powerful joint statement, members of the World Future Council are calling on governments, international organizations, humanitarian actors and civil society to step up action to protect refugee women, children and unaccompanied minors from violence. The WFC participated in the Working Group on Access to Justice for Undocumented Women, convened by PICUM (Platform for International Cooperation on Undocumented Migrants) in Brussels on 10 November 2015. The meeting focused on strategies for advancing undocumented women’s access to protection, services and justice. 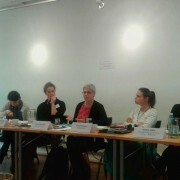 Karin Heisecke, Senior Project Manager, participated in the session “Mechanisms for Monitoring Undocumented Victims’ Access to Services, Protection and Justice, at the European Level” and gave a presentation on the Istanbul Convention as a tool for preventing and addressing violence against undocumented women. Guide to the EU Victims’ Directive: Advancing Access to Protection, Services and Justice for Undocumented Migrants, PICUM. 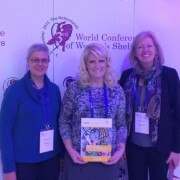 The WFC took part in the 3rd World Conference of Women’s Shelters in The Hague. The conference, organised by the Global Network of Women’s Shelters, brought together more than 1000 advocates and activists representing 115 countries. 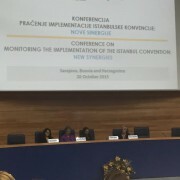 The WFC participated in a conference organised by the Council of Europe in Sarajevo (Bosnia and Herzegovina) on 20 October 2015: “Monitoring the implementation of the Istanbul Convention: new synergies”. Karin Heisecke, Senior Project Manager, participated as a panellist in the working session “the role of civil society actors and national human rights institutions”. 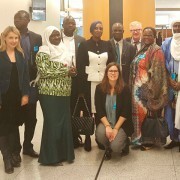 On 15 October 2015, the WFC convened a workshop for parliamentarians from seven francophone African countries at the European Parliament in Brussels. The conference participants adopted a joint road map for the elimination of violence against women and girls in their respective countries. The workshop was convened in partnership with the European and African Parliamentary Forums on Population and Development, and co-hosted by WFC Councillor Sirpa Pietikäinen MEP. You can read the roadmap in English and French. 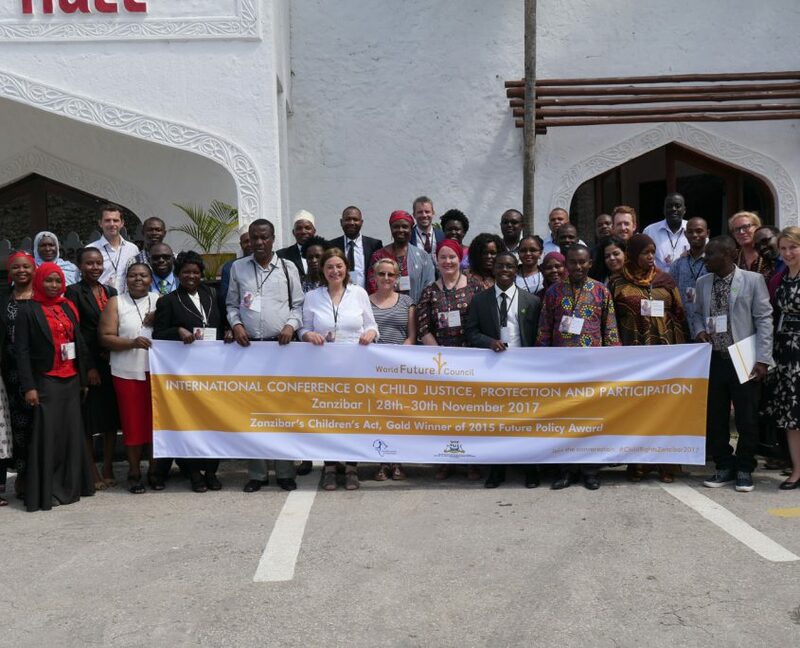 “Governments must implement effective laws in tackling violence against girls”, article by workshop participants Sirpa Pietikäinen (WFC Councillor) and Marie Rose Nguini Effa (MP Cameroon).